I am committed to keeping our clients informed every step of the way. Mayuri joined Reybroek Law in 2016 as an Accident Benefits Clerk. Prior to that, Mayuri was a lead Accident Benefits Clerk at another Toronto personal injury law firm for 10 years. Mayuri has an extensive knowledge of the Statutory Accident Benefits Schedule through her many years of experience and she has helped many seriously injured victims get the benefits they deserve. 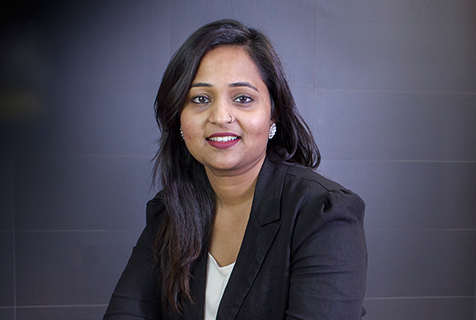 Mayuri’s compassion and positive attitude allow her to assist her clients in any part of their claim from the initialization of the file to its settlement. Our dedicated team of professionals work with you every step of the way to ensure that your rights are protected. Our dedicated team of legal professionals work with you every step of the way to ensure that your rights are protected. We obtain the maximum benefits and awards available.